Do you find yourself asking any of the following questions? Do you want help finding a new or better job? Do you need help writing a good resume or answering tough interview questions? Do you want to get the motivation and put a plan in place to go for that promotion? Do you feel you need some direction planning your retirement? Do you want to communicate with your staff, clients and peers in a more effective way? Do you want to encourage your staff and increase their productivity? If you have answered yes to any of these questions then Coaching can help you, in these and many other ways, contact me for more details. Life Coaching is an active process, you will be required to interact fully with the process and be committed to change, this will involve, project work, planning and tasks to enable you to develop. 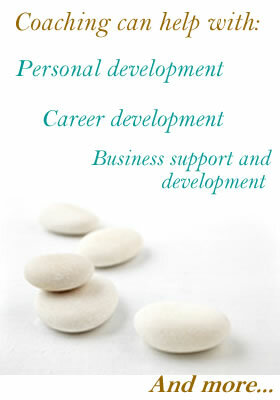 It is essential that you are committed to this process if you wish to get the most out of life coaching. You will become more empowered and gain a greater insight into your own thought processes and how to combat any self defeating behaviours such as procrastination, or sabotaging your own successes.